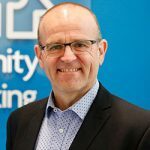 Impact measurement is something everyone in the not-for-profit sector needs to get to grips with, writes Andrew Cairns, CEO of Community Sector Banking. Not for profits are starting to come to grips with big data and data analysis – from targeted fundraising campaigns, to more effective staff and volunteer deployments. Unfortunately, the majority still struggle where it matters most: crunching the numbers to measure outcomes. Because it can be expensive, and hard to find the technical expertise. But in the meantime, not for profits are missing out on the benefits of measurement. It’s not just knowing how you’re doing good – it’s having evidence that shows the full impact of your activities to secure and retain long-term funding and support. There’s increasing demand for measurement from private and public funders. Many are already including impact measurement in their funding strategies. It’s understandable when you think of funders as “investors”. Any investor expects to be able to track how their investment is performing. Whether the project is big or small, there’s more expectation for timely information showing the impact in detail. Moreover, measurement is becoming the key to secure funding. Think of it as building an evidence base for support – made up of not only program outputs, like health kits distributed, but beneficial impacts. How did people’s health and wellbeing improve? Were communities and economies strengthened? Did it save public health and other costs? Such evidence gives not for profits more sway to retain funding, secure support, and scale their impact for good. How can not for profits get started with measurement? Firstly, you need to understand what to measure, and how to go about it. Measurement can’t wait until the end of a project. Investors want timely and accurate insights, and they want them throughout a project’s existence. Moreover, obtaining insights throughout the life of a project means you can manage issues and improve outcomes. It calls for serious capacity for robust data collection and analysis – which is unfortunately a weak spot for most not for profits. Few have employees highly skilled at data capture, analysis and reporting. For most it’s prohibitively expensive. Still, in a world where data increasingly drives decisions, those who fail to produce it will soon find themselves unable to access the support they need. Funding will flow to those not for profits with the greatest measurable returns. Ultimately, impact measurement is something everyone in our sector needs to get to grips with. The outcome should be better decisions being made, which make a bigger impact. The way not for profits can overcome the barriers to measurement, like the cost and expertise required, is to do what they’re so good at – that is to partner and collaborate. Those who partner will be closer to securing support and scaling their impact down the track.